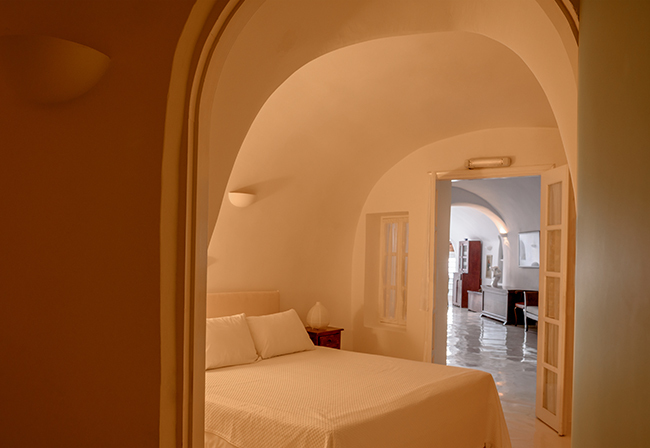 Holidays in Oia's "White House Villa" are about your personal relaxation and anticipations. The villa's Concierge services promise a friendly and hospitable assistance. Babysitting upon request, private chef, luxury transfers in Santorini are only some of the personal services we can provide. 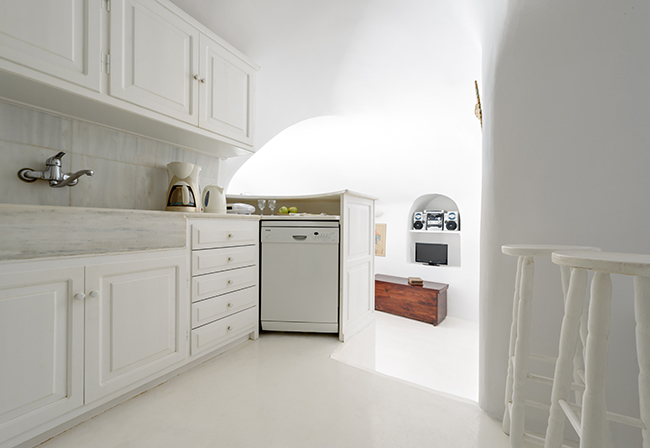 Kitchen facilities and family facilities are also of our great interest.The white residence constitutes of the main cave white residence apartment which is built on two levels and the white loft on the upper floor. In the 1st level you can relax with a Jacuzzi bath in the huge luxury bathroom! 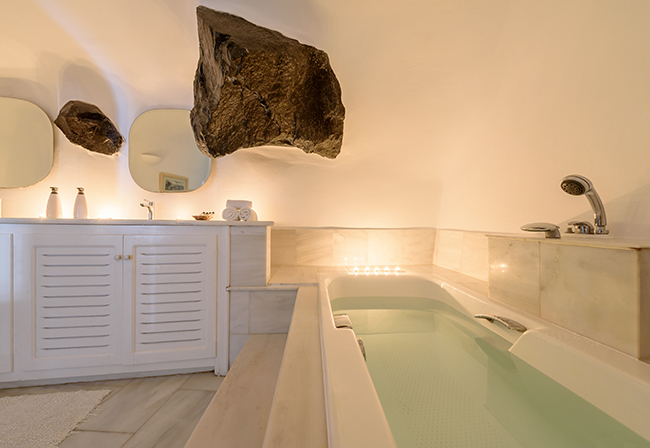 This 13sqm (40ft) cave with a sofa-bed in the spacious living room is fully equipped with kitchen facilities (family fridge, cooking stove, dishwasher, microwave oven, coffee maker). Antique deco elements balance with modern photocell power tabs. In the 2nd level you can enjoy a surprisingly cosy apartment also consisting of a living room and a fully equipped kitchenette, a shower room and a double sofa bed by the window. The white residence can accommodate up to 4 adults with two separate rooms for two couples. 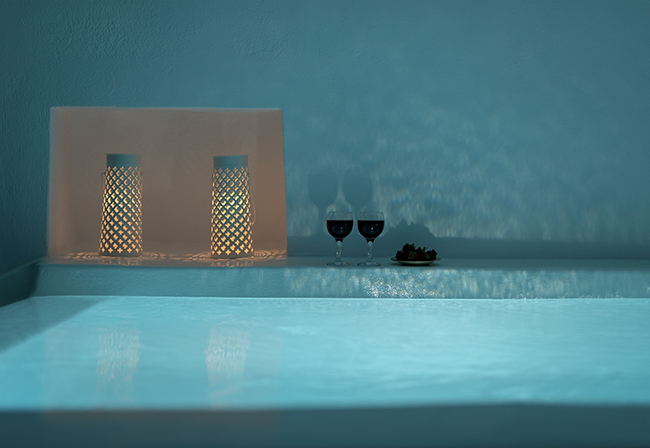 The Jacuzzi bath in the main courtyard's 4 person's pool will offer you moments of true relaxation. 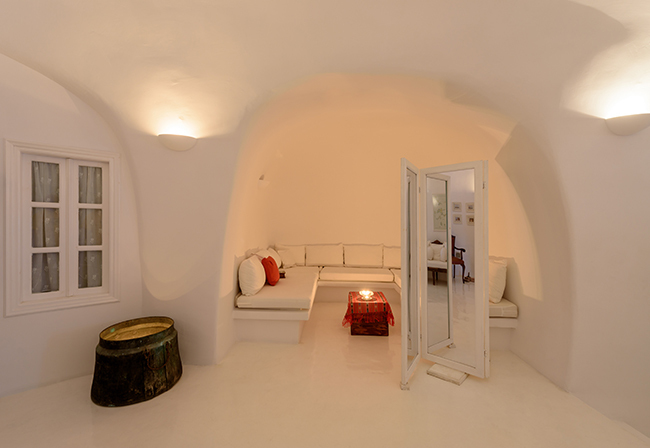 The third level of this wonderful villa is the white loft. 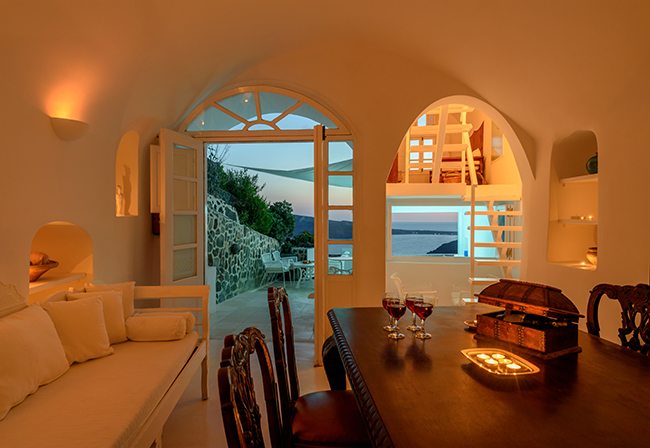 You can Lie down and watch the falling stars through the roof windows, or enjoy Oia's Panorama. 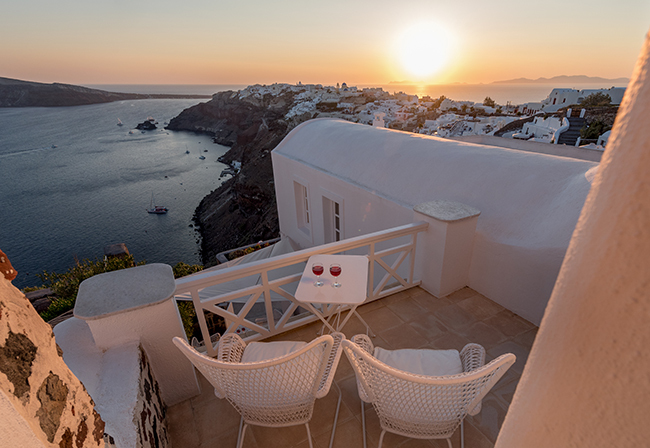 This dreamy upper apartment available for 2 persons also consists of a living room, kitchen, fully equipped shower room all in a wooden loft "flying" over the Santorini's outstanding Village of Oia. 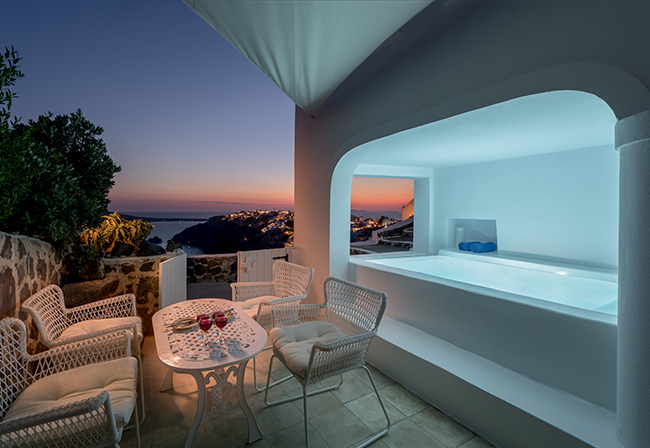 "White House Villa" is a fully equipment villa in Oia with: air-conditioning, TV, DVD, HiFi sets, hairdryer, telephone line, free fast wireless internet access, self adjustable combination safe. 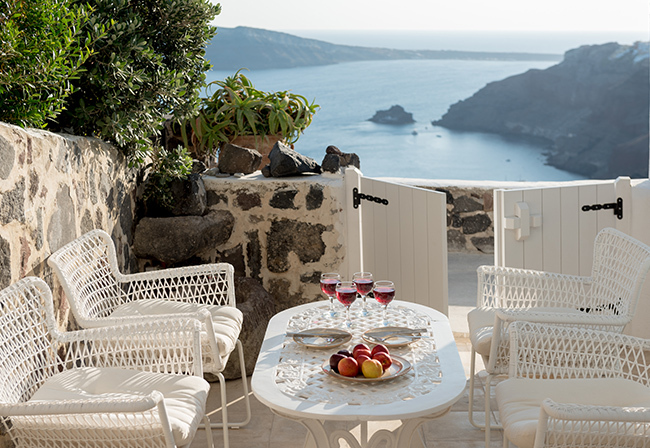 Besides the indoor apartment comforts your customized needs in Oia, Santorini will be accomplished by our concierge services: A private chef and babysitting upon request are always available. Also you may enjoy upon request breakfast, unforgettable weddings, luxury transfers with helicopters and jets, boat / yacht tours, yacht rentals, wine tours, daily mail services, taxes and all kind of port & airport transfers all over Greece. There's a place for all your requests. And that is our fully equipment villa in Oia, Greece!